Missouri Military Academy is a spacious private boarding school that is spread out on 288 acres of land – boarding high schools and Christian schools for troubled girls. Missouri Military Academy came into existence in 1889. A former Colonel of the Civil War, Col. A. F. Fleet, saw the need to establish a non-sectarian academy for boys between the sixth and twelfth grade classes. The purpose was to give the boys proper education and training to become outstanding individuals and leaders in life. Col. Fleet collected enough money to start the school, and he became the school’s first president. In 1896, a fire completely destroyed the school, and its doors were closed. Col. Fleet took the school to what is now known as the Culver Academies in the state of Indiana. There the school remained, until 1900 when Col. A. K. Yancey, with the financial backing and supports of the citizens of Mexico, was able to rebuild the school. The city of Mexico donated $10.000 to buy the land needed to begin again, and the school relocated back to the east of the Mexico square. Col. Yancey became the first president after the relocation. Missouri Military Academy operates four distinct yet closely linked programs: the high school, for young men in grades 9-12; a middle school for boys in grades 7-8; a summer program that offers camps for boys ages 8-17; and a for-credit summer academy for students in grades 7-12. All of our programs exist to motivate students to reach their full potential, build self-confidence and develop academic and life skills that will lead to success in college and beyond. Missouri Military Academy prides itself on offering a 360 Degree Education. Their focus is not only on teaching their students how to succeed academically, but also how to disciplined themselves by offering them a rigorous but captivating athletic program. The school’s intention is to instill and empower the boys with proper morals, ethics and values, and to show them the importance of accepting responsibility for their lives. Thus, the boys who attend Missouri Military Academy are impregnated with the knowledge that no one is responsible for his life but himself. The board and the teachers see their mission as helping the boys to transition from puberty into adulthood with self-confidence. The academy has a reputation for being one of the United States’ exemplary private schools as listed by the United States Department of Education. In addition, the Missouri Military Academy is known for its JROTC Honor Unit with distinction as designated by the Department of the Army and for its excellent preparation of cadets who choose to enroll in the United States Military Academy, the United States Air Force Academy, the United States Coast Guard Academy or the United States Naval Academy. Located on 204 N Grand Street in Mexico, Missouri, the Missouri Military Academy is a spacious private boarding school that is spread out on 288 acres of land and over ninety percent of the students live on campus. 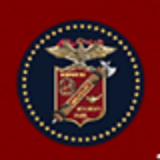 Seventy five percent of the 38 teachers at Missouri Military Academy have advanced degrees. With a teacher/student ratio of 8:1, the average class size is ten students per class. There are approximately 270 to 290 students enrolled in the school. Should you need help finding troubled teen schools, boarding schools therapeutic, and behavioral boarding schools please let us know. Military schools offer structure, mentorship and a safe environment that limits distractions and temptations that can detract from academic and personal progress. Still, military schools are not always the right choice for every young person. While military schools offer structure, and academic and athletic discipline in a controlled environment, military schools are not intended to act as a rehabilitation program. Military schools want students who wish to prepare themselves for a future in a collegiate, military, or professional setting.